If you are shredding documents as soon as your business has determined that they are obsolete, trivial, or redundant… you are handling the destruction in a timely fashion. 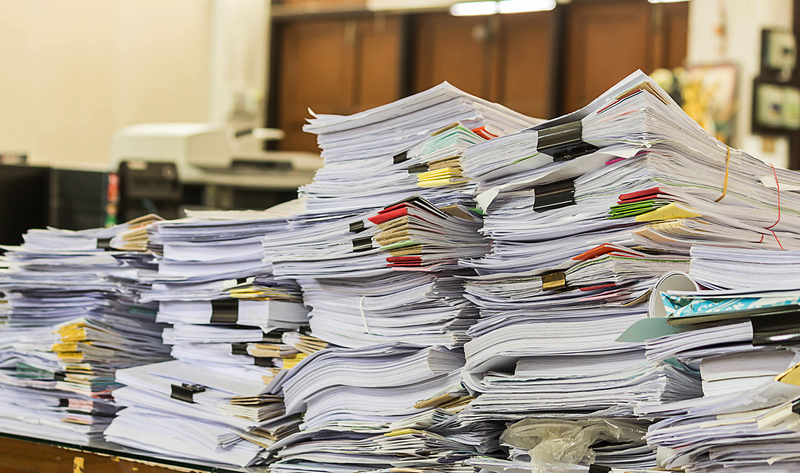 However, more often than not, the documents which your company has deemed unnecessary are not disposed of in a timely manner. They are put in boxes or file cabinets and left to sit until the time is found by employees to shred them. This process puts your vital information at extreme risk for a privacy breach. Utilizing a certified recurring shred service helps mitigate that risk by providing a locked cart or console where unwanted documents are deposited and can only be accessed by those employees who are granted access. A NAID “AAA” certified company will then come out and destroy the documents onsite or pick them up and destroy them back at their facility based on your business needs. Removing staples, paperclips, rubber bands, etc. These sore spots add time and headaches to an employee’s already full plate. A professional shredding service alleviates these burdens and allows your business to win back employees’ time. As the document shredding needs of your business grow, so too will the professional shredding service you choose, without the need to increase the workload of an employee or purchase additional paper shredders to handle the increase in destruction. When shredding in house becomes a burden or seems too much to handle, employees tend to avoid performing the task at hand. This is obviously the last thing you want for your business. Shredding at regular intervals with a secure shredding service provides your company with a set schedule, generally on a monthly basis, but can be as frequently as weekly, depending on your business needs. When shred carts or consoles are placed in your office, employees simply have to deposit the document that needs to be destroyed and that’s it. This eliminates the time needed to shred in-house and motivates employees to follow a simple procedure. It’s the 21st century, and data is no longer limited to hard copy. As we all try to reduce the carbon footprint we leave behind, we increasingly use digital storage as a means to reduce that impact. As a result, shredding hard drives and digital information becomes a must to protect any business. A certified shredding company will not only be capable of destroying hard copy documents but also any media and hard drives that your business stores information on. 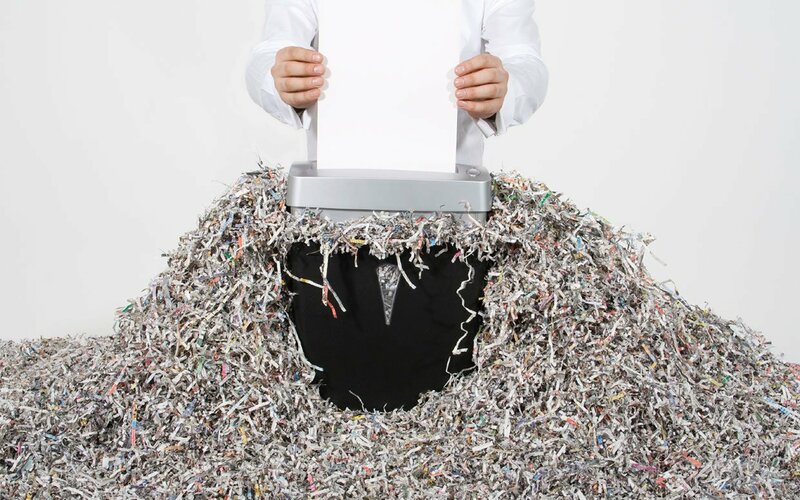 Williams Data Management can help reduce the in-house shredding headaches by getting your business on a recurring shred schedule and making sure the destruction of your company’s confidential information is done consistently, efficiently, and securely. Visit www.williamsdatamanagement.com for more info or call 888-478-3453 to speak with a certified shredding specialist.